PlayOJO definitely knows how to please online gambling enthusiast and it most certainly strives to be different but in a good way. The virtual casino does not try to scam players by offering bonuses with impossible to meet wagering requirements. Its policy of rewarding casino members with real cash for the bets they are making is what attracts so many interactive players. When it comes to the gaming library that PlayOJO has prepared, gambling enthusiast will be more than happy with the options they are presented. 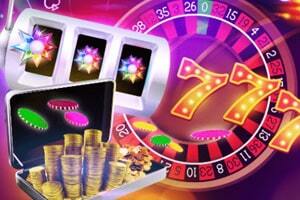 Some of the best gaming providers have offered their software platforms to the online casino. 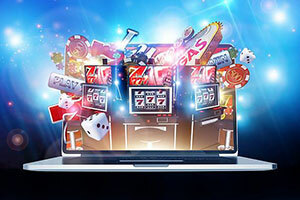 This gives online players the freedom to choose from some of the most intricate, fun and rewarding casino games online. Fans of slots will be pleased with the diversity of classic and video slots they are provided. This will give chance to players to pick the title that suits their taste the best. If you are more keen on classic table games, you will also be able to find quite a few roulette, blackjack and baccarat variations. Video poker is also a category, available at PlayOJO. For those who are dreaming of becoming instantly richer, there is also a section with numerous jackpot games that can make any player an instant millionaire. Last but not least, is the Live Casino category which offers live-dealer variations of classic table games. 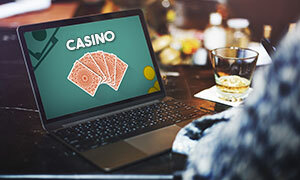 There, casino members can find numerous live tables with different bet limits that can suit both high-rollers and players who enjoy wagering with smaller stakes. For those of you who are just starting their adventures at PlayOJO, there is a bountiful sign-up offer. 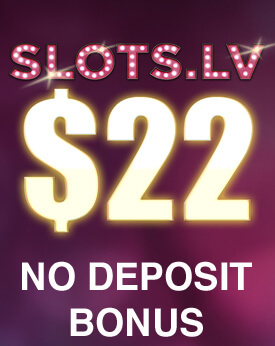 For making their first deposit newcomers are awarded free spins and the best part is that there are no wagering requirements. Every day, patrons of the web-based casino can enjoy Kickers which can award them great prizes and make their online gaming more lucrative. It is only natural that players might encounter some issues while playing online. This is why it is important to have someone they can rely on when they are experiencing some troubles with their virtual gaming. Whenever you have some questions about your online casino account, your transaction or any other aspect of online gambling, you can always contact the experts of PlayOJO. The Customer Support team of the web-based casino is very responsive and always there for you. PlayOJO does not beat around the bushes which is why it offers online gamblers a fair and secure gaming environment. This way players can be sure that the outcome of every game is arbitrary and they are not being tricked. What is more, the web-based casino makes sure that its patrons can always find a convenient and secure way to manage their gaming funds. 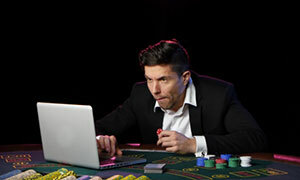 Online Since PlayOJO has been established in February 2017 and although it has been active for a short period of time, it managed to earn itself a reputation of a good interactive casino. Minimum Deposit/Withdrawal The members of PlayPJO can make a minimum deposit of £10 while the least amount they can cash out is £20. No Deposit Bonus Currently, PlayOJO does not offer a no-deposit bonus but you should still check the “Kickers” it provides every day. 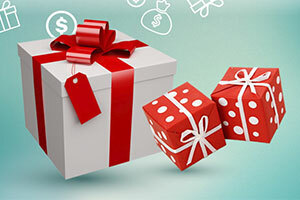 Welcome Bonus PlayOJO has prepared a wonderful welcome offer for its new members. When players make their initial deposit they will be rewarded up to 50 Free Spins. 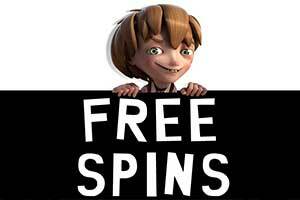 Thanks to this offer they will be rewarded one free spin for every £1 they deposit. All the winnings accumulated during the free-spin rounds are rewarded in cash and they are not subjected to any wagering requirements. This means that players can cash out their winnings right away. Regular Bonuses PlayOJO offers the so-called Kickers which are daily promotional deals that can award players various prizes. These are always paid in cash and are not subjected to any wagering. Since these offers last only 24 hours, you should check the webpage of PlayOJO regularly. 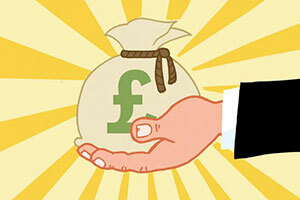 Loyalty Programme PlayOJO offers players to make money for every bet they make. Whether they win or lose, casino members will be able to collect cash in their OJOplus account. They can either withdraw it or watch how their money grow as they make bets at PlayOJO. Sofware PlayOJO uses the software platforms of several gaming developers which is the reason for the wonderful quality of the games it offers. Among the software suppliers that have joined forces with the virtual casino you will see names such as Microgaming, Play’n GO, NetEnt and Evolution Gaming. Popular Jackpots The popular jackpot games that PlayOJO is offering include titles such as Mega Moolah, Arabian Nights, Mega Fortune and Major Millions. Game Types The gaming library of PlayOJO is full of popular titles that can entertain any type of casino fan. 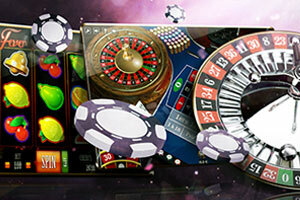 From the latest and most innovative slots to classic table games, this web-based casino has it all. Roulette, blackjack and baccarat are among the classic casino games that you will find at PlayOJO. Another popular category is video poker where players can find several fun and lucrative games. Live Casino The Live Casino section of PlayOJO is full with fun and rewarding live-dealer variants of roulette, blackjack, baccarat and Casino Hold’em. There are tables that have different betting limits which can suit the taste of various players. Casino members can also spin the wheel of fortune of Dream Cather and hopefully enjoy great prizes. Mobile Casino PlayOJO is fully optimised to run smoothly on various portable devices such as iPhones, iPads, Android smartphones and tablets, as well as other mobile devices. Android users can also instal a dedicated mobile app that will make their virtual gaming experience even more exciting, no matter where they are. Deposit Methods Players have the chance to utilise several deposit options at PlayOJO. They can opt for MasterCard and VISA credit/debit cards and digital wallets by Skrill, Neteller and PayPal. Using a Paysafecard or the service of ecoPayz is also an option that can be utilised for deposits at PlayOJO. Virtual players can also top up their gaming accounts via bank transfers or services that offer instant banking. Currencies PlayOJO allows its patrons to set their accounts in AUD, CAD, CHF, DKK, EUR, GBP, NOK, RUB, USD, SEK, ZAR. Language Players can load the website of PlayOJO in the following languages: English, Finnish, German, Swedish, Norwegian. Support If virtual players have any issues with their gaming experience at PlayOJO, they can always contact its representatives who are always ready to help. You can use the Live Chat option that the virtual casino provides or contact the Customer Support team by sending them an email at support@playojo.com. Licences PlayOJO is regulated and has a license issued by the Malta Gaming Authority. Much like most other online casinos, PlayOJO does not create its own unique games, rather it loans them from a variety of different software providers. These companies make it their business to develop games and other software for online casinos and PlayOJO has partnered with the best of them. 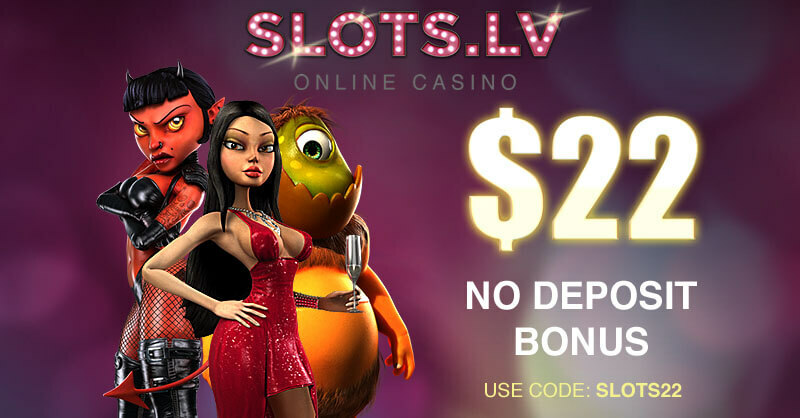 At this online casino, you will find games by Microgaming, NetEnt, NetGen Gaming, Yggdrasil Gaming, and a few others. By entering a partnership with these companies, PlayOJO has managed to put together an excellent selection of high-quality casino games. Each software provider puts their own spin on a particular game type and users certainly enjoy the variety. When it comes to accessing the casino, players will simply be required to load the PlayOJO website and select the game that they wish to play. The instant play interface allows users to play their favourite titles directly in the window of the browser, without any prior preparation. If you are a mobile gambler, then you will be pleased to know that PlayOJO supports a mobile version of their gaming library and you can access it by loading the casino website in your mobile device’s browser. Slots players will be treated to a wide variety of titles developed by numerous software providers. Due to the large number of providers, the slots selection is incredibly large and the individual titles number in the hundreds. It is safe to say that you will not become easily bored. There are many different ways we can classify the different games, but for the purposes of this review, we will do so by theme. The sheer number of games makes it possible for the developers to explore different aesthetics and create titles for any demographic. PlayOJO users certainly benefit from this and here, you will be able to try your luck on many different slot types. If you like mythology, then we highly recommend that you try Viking Runecraft, Medusa, Zeus: God of Thunder, or Thunderstruck II. If instead, you prefer your slots with animals in them, you can always spin the reels of Golden Mane, Raging Rhino, Wolfpack Pays and Jungle Spirit: Call of the Wild. However, if you find the vampire theme compelling, you would do well to open Blood Suckers, Bloodlore: Vampire Clan, or Dracula. Fruit-themed games are always popular and PlayOJO offers Fruit Shop: Christmas Edition, Jackpot 6000, Stickers and many more. Overall, the slots library is large and diverse and there is only so much that we can cover in this review. However, we hope that you take a look for yourself and see just how extensive it really is. Roulette is one the prominent game types at PlayOJO and while the selection is not the largest out there, it does include some quality games. 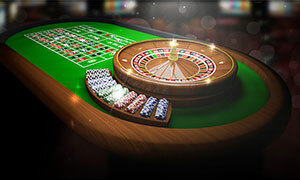 For one, you will have access to all three main classic variations of roulette – American, French and European. French Roulette is one of the oldest versions of the genre and you will certainly have a good time playing it at PlayOJO. The French variation of the game differs from others by including the La Partage rule, which significantly reduces the house edge. American Roulette is played with a 38-pocket wheel, where there are 36 alternating red and black pockets, and two green ones for the zero and double-zero. Due to the addition of the extra zero, the house edge of the game rises to 5.25%. The graphics of the game are absolutely beautiful and you will certainly be able to immerse yourself in the casino atmosphere. Something to note is that PlayOJO seems to have placed a larger emphasis on live roulette titles than virtual ones. As a result, the roulette section will be mostly comprised of Live Roulette. 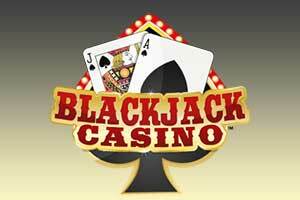 The available blackjack games are certainly one of the reasons one ought to join PlayOJO. Here you will able to enjoy titles like American Blackjack Turbo. This game by SkillOnNet is a great representation of 21 and it will provide you with a great playing experience. It comes with two distinct betting limits options from £1.00 to £50.00 per hand, or alternatively, from £10 to £500 per hand. This makes it perfectly suitable for both casual players and high rollers. Moreover, it features a unique graphics style that some of you will surely appreciate. In terms of payouts, it features the traditional ratios of 3:2 for a blackjack hand and 2:1 for Insurance. Alternatively, you can try your luck on European Blackjack Turbo, which features similar rules. There are some slight differences between the two games, meaning that you will have a unique experience with each. The video poker games at PlayOJO are certainly worth your while and we are sure that you will be thrilled to play them. Here, you will find many of the most popular variations on the Internet, such as Aces and Faces, Joker Poker, and Deuces Wild. Jacks or Better is one of the most popular forms of video poker on the Internet and you can spend hours playing it. This game accepts a pair of Jacks as the minimum qualifying hand and comes with an excellent paytable. Much like other video poker titles, Jacks or Better comes with a minuscule house edge, making it one of the fairest games out there. Deuces Wild can also provide you with countless hours of fun and excitement. This variation is characterised by the four 2s that serve as Wild cards. Using them, you will be able to form all manner of winning combinations that you would not normally be able to. Deuces Wild is intuitive and engaging, making it one of the best video poker titles at PlayOJO. Progressive games certainly draw in big crowds and you will find the best of the popular jackpot at PlayOJO. The best progressives at this online casino are provided courtesy of NetEnt and Microgaming, two companies known for being active in the development of this particular game type. Mega Moolah and Mega Moolah Isis are two of your best options when it comes to progressive games. The former features a Savannah theme with all its inhabitants appearing on the reels, while the latter is themed around Ancient Egypt. The two share a progressive jackpot and you can win it by playing either of them. These games are not particularly expensive to play since their maximum bets only go as high as £6.25. Mega Fortune is their NetEnt counterpart and it features on the largest progressive jackpots in the industry. The whole game centred around living the life of luxury and wealth, something which you can achieve if you manage to score the jackpot. The betting limits in this game are much more liberal and you can wager up to £50.00 per spin if you wish to do so. Of course, these are only a few examples of what awaits you at PlayOJO. Here you will have the opportunity to also play Arabian Nights, Winstar, Major Millions, King Cashalot, Divine Fortune and many more. PlayOJO’s live dealer selection is a blend between Extreme Live Gaming, NetEnt and Evolution Gaming software. Thus, you will have at your disposal three completely different platforms to play your favourite games. In fact, very few online casinos can stand toe to toe with PlayOJO where live dealer games are concerned. Here you will find the best that the online gambling industry has to offer. Primarily, you will be able to play several classic casino game types, such as roulette, blackjack, and baccarat. Each game comes with its own unique table limits, with some being more appealing to high rollers, while others to casual players. Overall, there is something for every in the live dealer section and we cannot recommend it enough. What Deposit Options Can PlayOJO Members Utilise? PlayOJO has made sure that its patrons will be able to use some of the most commonly preferred payment solutions for their deposits. Players can choose to top up their gaming accounts via credit/debit cards, e-wallets, prepaid cards, bank transfers, instant banking. All of the methods used at PlayOJO ensure fast and safe transactions. The OJO Wheel is one of the special perks that the online casino is offering its members. Players have the chance to spin one out of three “wheels of chance” and enjoy great prizes that can improve their gaming experience. As casino members reach a new level they will have the opportunity to spin the OJO Wheel. Sometimes spins on the wheel can also be awarded at random times. All of the prizes from the wheel are presented in cash so there are no wagering requirements that must be met. Does PlayOJO Have a VIP Programme? Yes. Members of the virtual casino have the chance to become a VIP player with PlayOJO’s A-Lister programme. In order to join it, you must be one of the top members of the online casino. This means that by playing and making real-money bets at the interactive casino, you can prove your loyalty and receive an invitation from the A-List Managers of PlayOJO.